It’s a new joint recap project here on the blog, so join us for some time traveling drama fun! 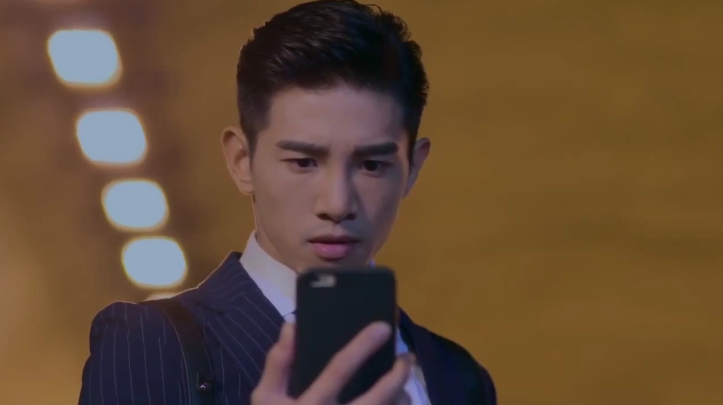 Estelle and I are recapping this Taiwanese drama together, so be on the lookout for recaps for each latest ep sometime after it airs! The first episode has our main character, Chen Che, time traveling to the year before he was born to meet his own mom and discover who exactly his father is. Not sure yet if the entire drama will be him meeting a bunch of different guys who could potentially be his father or if they will clear that up quickly. Seems straightforward enough, right? But I guess we shall see! Chen Che is busy taking a morning swim (and showing off his abs) while his workplace is blowing up his phone. The company is freaking out because they made a bad investment. And since Chen Che refuses to pick up his phone, they got no choice but to lie and say he has to come in to get his bonus. He sees right through the trick, but lucky for the company, he had already taken the precautionary measures in the investment to save them from total failure and destruction. But Chen Che has bigger fish to fry and quits his job despite his boss literally begging him to stay. We gots lots of money. Chen Che refuses over to the hospital to meet his mom because his grandfather fell down the stairs at the nursing home. Grandpa Chen is very confused and keeps screaming for someone to take responsibility for knocking up his daughter. 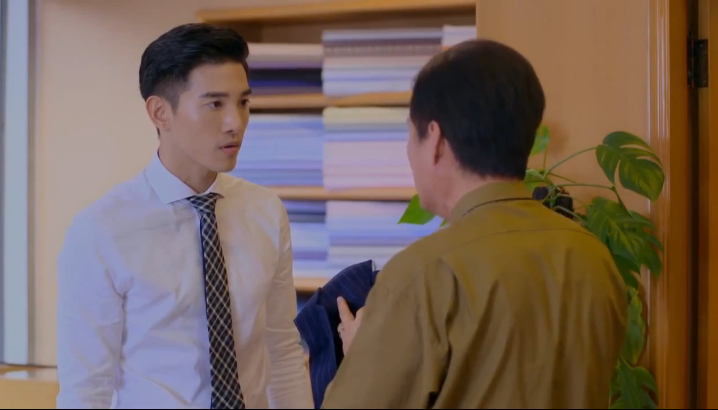 Chen Che’s mom is obviously upset, but Chen Che somehow thinks this is the right time to ask her who his father is. She sticks with her standard story about how Chen Che’s father is dead, but he’s not buying it this time. His mom tells him if that he won’t drop the subject, then don’t even bother considering her as his mom then. Chen Che tells her that’s fine by him. 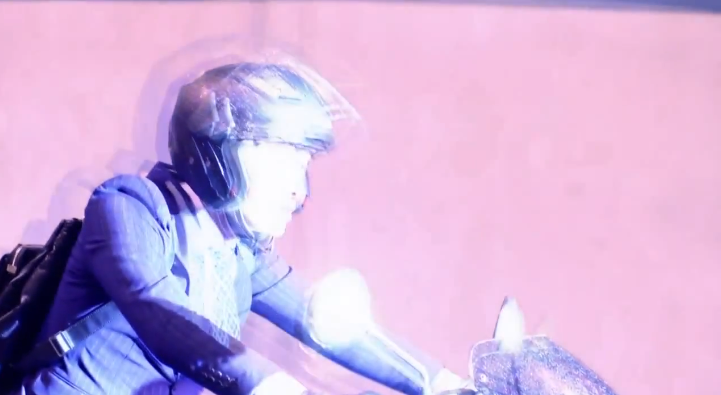 Fuming over the argument, Chen Che goes on an angry motorcycle ride in the thunderstorm. As he’s riding through a tunnel, he gets all woozy and sees bright lights shining at him. Swerving to avoid an oncoming vehicle, he’s thrown from his bike and blacks out. When he wakes up with not even a scratch on him, he’s a bit confused as to why it’s not raining or why he’s not getting a signal on his phone. Seeing a girl riding on a moped towards him, he decides to literally stand in her way to stop her. He’s super confused why the girl, Ye Zhen Zhen, is dressed in such retro clothes, riding an old-fashioned moped, and doesn’t even know what a subway station is. While they’re bickering, a car drives by and crashes into the moped the girl had left in the middle of the street. Sigh. At the auto repair shop, Chen Che can’t even cover the expenses because the people there act like they’ve never seen a credit card before. Sensing that something’s not quite right, he uses the store’s rotary phone(!) to call the police to ask what year it is. They kindly inform him that it’s 1989 aka the year before he was born. Some thunderstorm, huh. Being surprisingly calm about this whole time-traveling biz, Chen Che takes off his Rolex to give to Zhen Zhen as compensation for now. He promises to give her the rest of the money in a week. Trust me, I’m a professional. Meeting up with her friend, Xiao Long, at their usual bar hangout, he tells Zhen Zhen that this Rolex is totally bootleg. She’s upset that she didn’t even get Chen Che’s name, so now she’s just straight-up outta luck. Her bestie, Chen Ya Juan, shows up late, and seems to have a thing with one of the guys they hang out with. Hmm…this lady looks awfully like Chen Che’s mama in 2016. Minus the greys and wrinkles, of course. Chen Che is aimlessly wandering around, wondering wtf he should be doing now. Maybe he is going crazy because he resorts to sitting alone in a park screaming, “1989!” He must be a Taylor Swift fan. Realizing that he has a rip in his suit jacket, he makes a trip to YEB Tailor Shop to get it fixed. What he doesn’t know yet is that this tailor shop that exists in 2016 is owned by Zhen Zhen’s family. There, he just misses seeing Ya Juan by a second. Hmm. Taking advantage of that lifetime warranty. Since he’s stuck in 1989 for the time being, Chen Che might as well get a job and earn some dough. He applies for a financial analyst job at the same investment firm that Zhen Zhen and Ya Juan work at, specializing in the stock market. But when he can’t even say which year he graduated college, the manager is convinced that he’s a total fraud. On his way out, who should he run into but Zhen Zhen. She immediately goes after Chen Che for giving her a bootleg Rolex. He offers her another payment method…loan him $50,000 now and he’ll return it plus the moped expenses in a week with interest. Oh yeah, that doesn’t sound sketch at all. Who’s gunna believe him?! Certainly not Zhen Zhen. Zhen Zhen is the lowest performing employee at the company, so she has no choice but to go to dinner and socialize with one of their big clients tonight. Ya Juan doesn’t think it’s a good idea since “socialize” always means something else. But since Zhen Zhen has to go, she makes her promise that she’ll get outta there by 9PM. Chen Che had also heard that brokers will be eating dinner at this restaurant tonight, so he stops by to get himself a job. 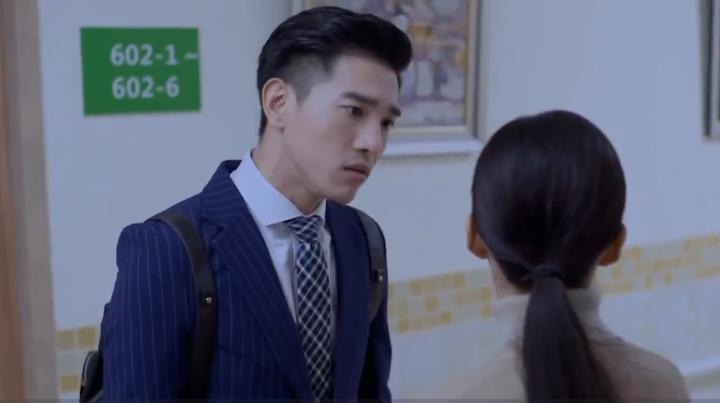 The slimy AF client is hitting on Zhen Zhen as expected, but Chen Che interrupts the dinner just in time. Before they can throw him out, he starts revealing all this personal info about the client that he clearly learned in 2016. Having captured the guy’s attention, Chen Che guarantees that he can predict the stock market for him. The guy doesn’t buy it, so he tells him that he knows the exact number the market will close at tomorrow. Chen Che proposes a bet with the client: if he’s right, the client will give him $200,000. But if he’s wrong, then Zhen Zhen will go “socialize” with him. Goddamn, Chen Che…you better be right. Ye Zhen Zhen’s dad is still working at YEB Tailor Shop in 2016. So where’s Zhen Zhen at in present day? Chen Che didn’t find out he even had a grandfather, a famous astronomy professor, until he was in college. I just discovered this blog and it’s great 🙂 I work at Viki and would love to get in touch with either, or both of you. We have several of the Chinese and Taiwanese dramas (Back to 1989, Love Me If You Dare) which have been covered recently. I’d like to discuss a potential partnership! Thanks and look forward to hearing back.